To ensure that all residents of the Southeast can live in safety and free from violence.  The Boreal Child and Youth Expertise Centre seeks to develop new approaches, facilitate access to justice, improve the capacity of service providers, foster the establishment of referral networks and raise awareness about the services offered to victims and members of their family. Openness, fairness, integrity, excellence and transparency. In 2013, the Kent Violence Prevention Centre (KVPC), located in a rural area of New Brunswick, became concerned about the issue of sexual assault toward children and teens. Through a gender-based comparative analysis of sexual assault (2012), the organization became aware of disturbing data about sexual assault toward children in the Province of New Brunswick. The organization set out to learn about existing models and the location of various models of support centres in Canada and the United States. The Kent Violence Prevention Centre began work on broadening its knowledge of existing models, the needs of its communities and opportunities for undertaking a similar initiative for New Brunswick. Thanks to the involvement of key partners, a committee was formed, and work began to identify the challenges involved in delivering services within New Brunswick’s existing systems. In 2015, the organization began development work in partnership with the Government of Canada. In March 2017, an interministerial memorandum of understanding was signed to ensure delivery of services to child victims of sexual assault. October 2017 witnessed the official opening of the new Boreal Child and Youth Expertise Centre, which is focused on the needs of young victims of sexual abuse. Protection, legal, psychosocial and therapeutic services are available on-site.